Yesterday evening, I was starved and eager to whip up something using my own herbs as an ingredient. 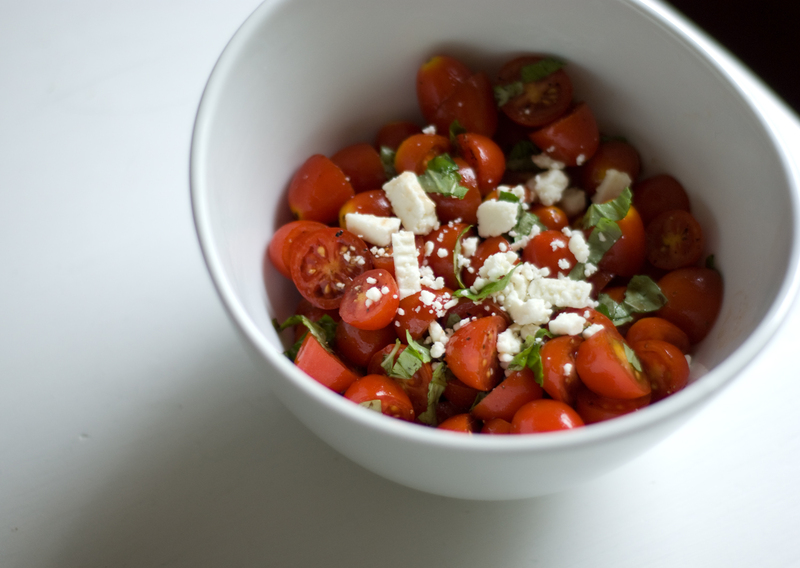 Presented with an abundance of cherry tomatoes from the farmer’s market, I decided to make a tomato basil salad. I improvised the recipe, which was inspired by a delicious side salad from a San Diego seafood restaurant called The Fish Market. Making the salad was super easy. I chopped the tomatoes in half, cut up strips of basil from my very own basil plant, and drizzled them with balsamic vinegar and a little bit of olive oil. I seasoned the mixture with a bit of sea salt and ground black pepper and topped it off with some feta cheese. I suppose mozzarella would have been a more traditional and equally tasty choice. 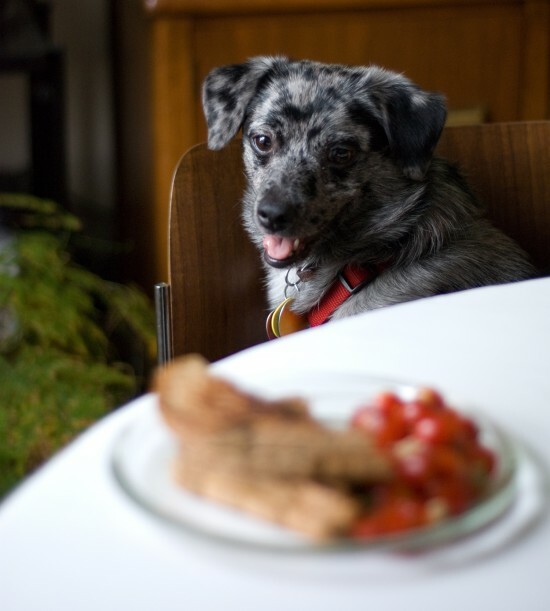 Cookie was more interested in the salad and grilled cheese than she was in my black bean salsa! I swear I don’t tell her to hop on the chair and be cute. I’ll be making this dish again for sure. omgoodness my mouth is watering. 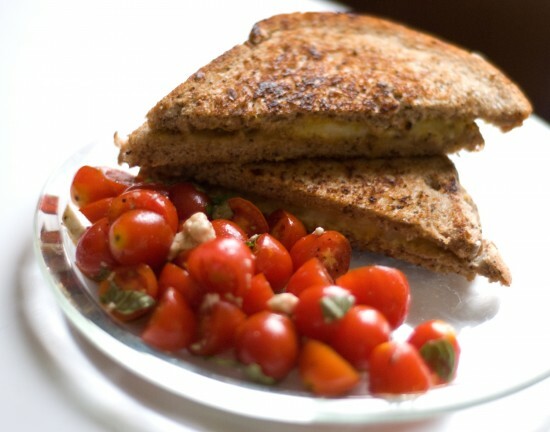 one of my favorite comfort foods is grilled cheese and urs looks so tasty! and THAT tomato salad…YUM! Thanks, style-haus! I thought a tomato salad would be a more “summery” side to grilled cheese than tomato soup, and it was! Hey Ally, where do you find your Big Sky Bread? I’m addicted to the three seed levain—I buy it at The Earth in Norman. I just learned that they have a bakery in the city. I can’t wait to go there! awwww! Cookie is so cute + your photos look so delish! I love that idea, Deborah! I’m going to have to try that. Thanks for the kind comment!